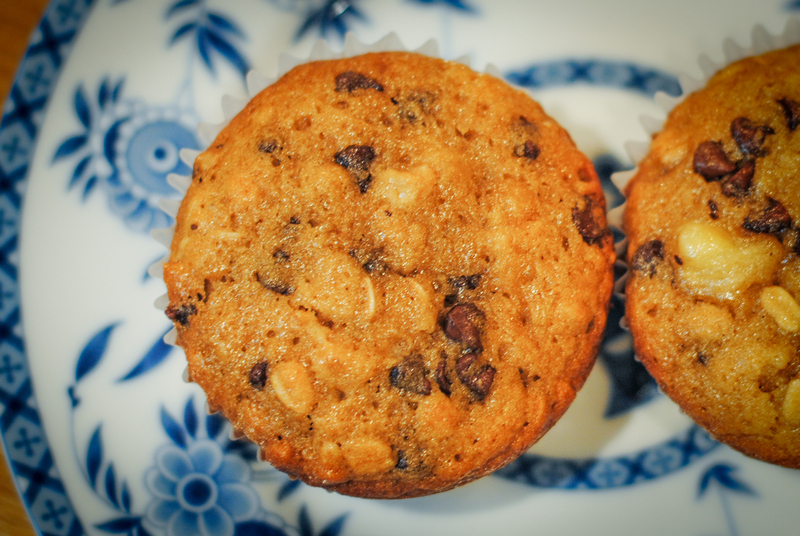 Baking – ohh, how I have missed you. Ever since earlier this year when we learned my youngest son Beckett had food allergies (the most serious being gluten), I’ve put my baking on hold. Weekends used to mean homemade muffins and pancakes and biscuits, but trying these things without regular flour was more hassle than I felt like dealing with. It was unknown territory, and frankly with the baby, I didn’t have much time for experimenting. 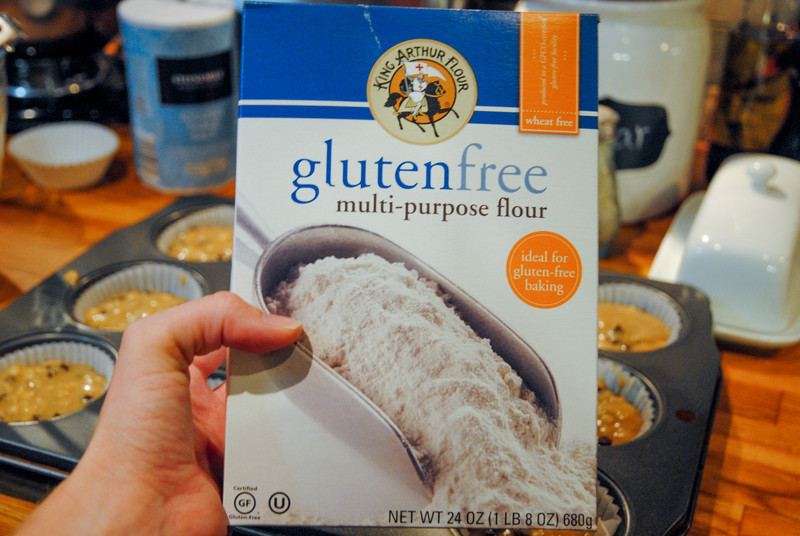 But a few weeks ago I wanted real pancakes and so I googled “how to substitute gluten free flour for regular flour” and was amazed by what I found – it’s actually pretty simple. 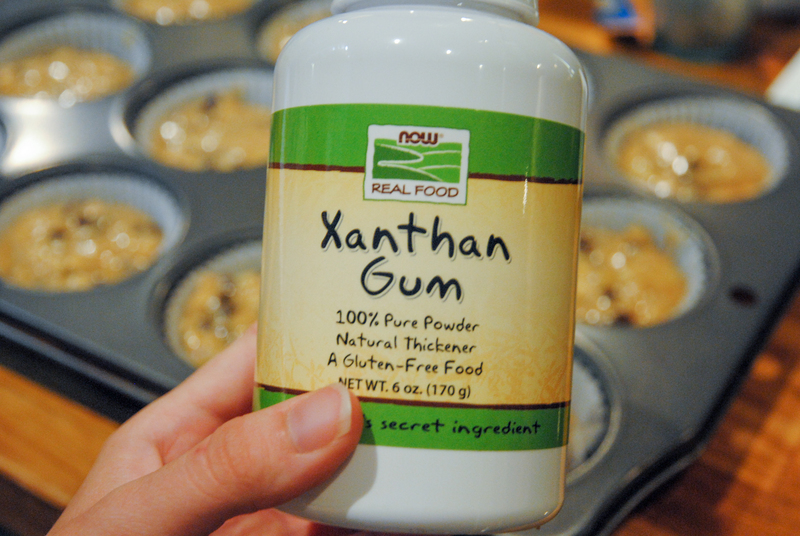 Add xanthan gum and egg to almost any recipe and voila, you have gluten-free baked goods that don’t taste gluten-free. They rise and they have the same consistency. 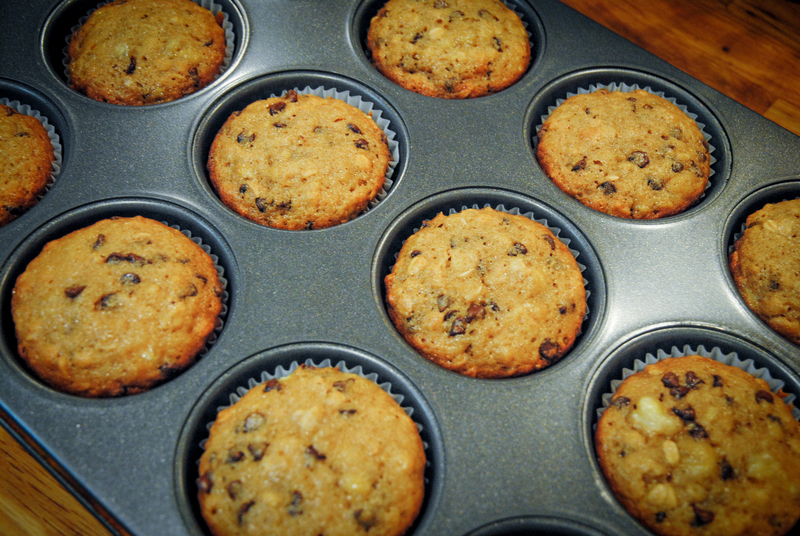 So with a new found excitement and hope about eating normal again, I’ll be baking – hallelujah, I’ll be baking! I’ll be testing out my old recipes and seeing how it goes. I’ll share my successes, and hope that if you are also gluten impaired that you’ll too be able to enjoy some of your old favorites again. 1.) 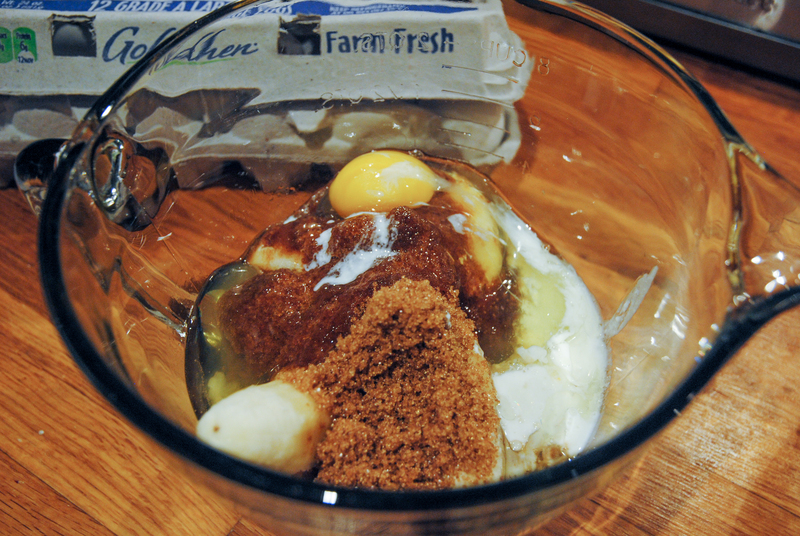 In a large bowl, whisk together bananas, brown sugar, oil, buttermilk and eggs until well combined (banana chunks are OK). 2.) 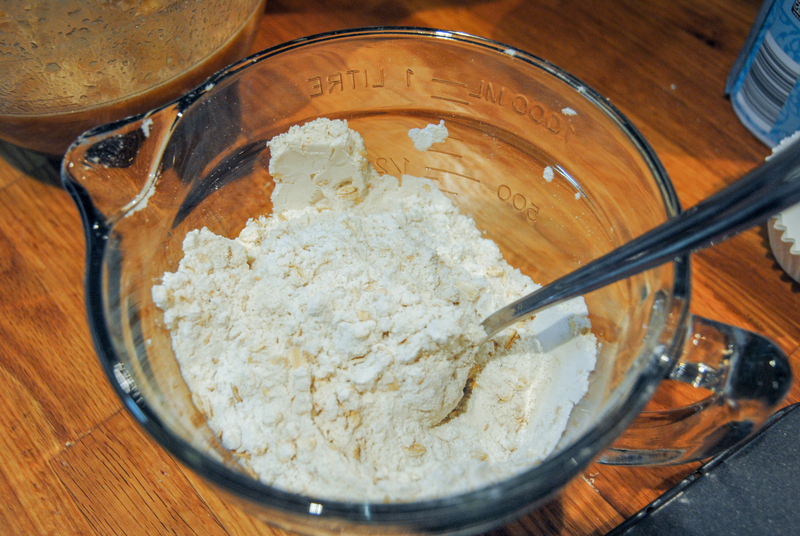 In a small bowl, stir together flour, oats, xanthan gum, baking soda and salt. 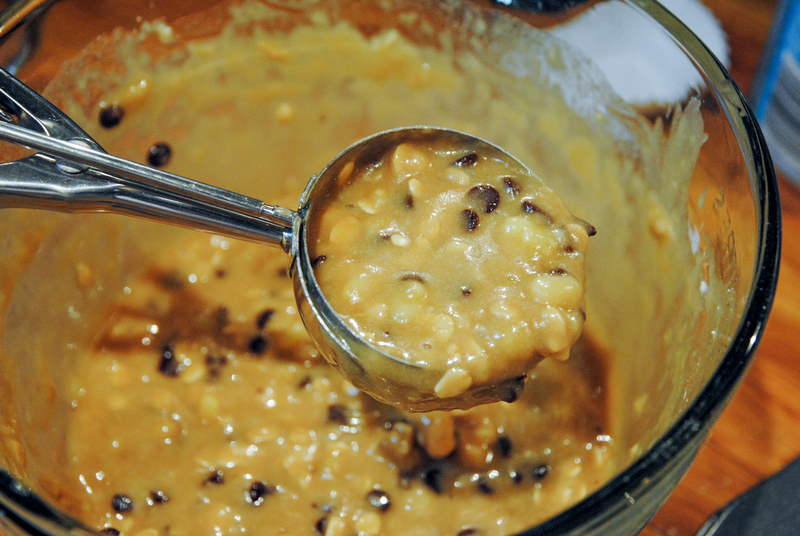 Slowly stir into wet ingredients and fold in chocolate chips. 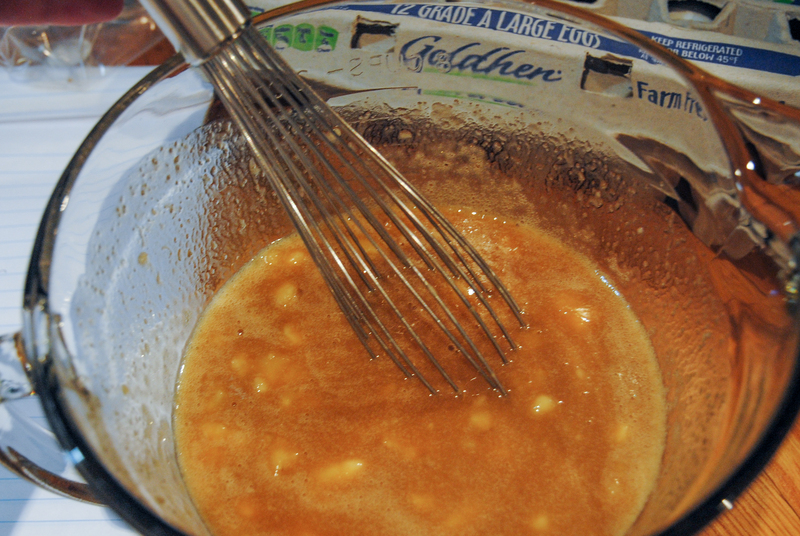 Stir until just combined – do not over-stir. 3.) 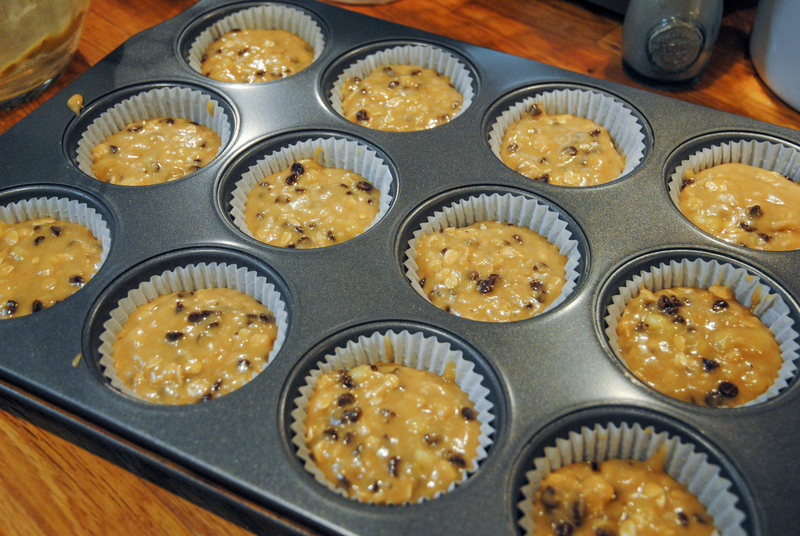 Pour batter into lined muffin tins (I use a scoop), and bake in a preheated 350 degree oven for about 21 minutes.